Lotus’ Kimi Raikkonen believes Mercedes will “surprise a few people” at the Australian Grand Prix after Lewis Hamilton and Nico Rosberg set the fastest times on the final two days of testing at Barcelona. Rosberg set the fastest time of the test on Sunday with Fernando Alonso the only other driver capable of beating Hamilton’s Saturday benchmark. Raikkonen, whose Lotus has been tipped as a front runner at the first few races, said he thinks he could have got close on a low-fuel run, but his final two days were limited by food poisoning on Saturday and a gearbox issue on Sunday. “For sure at least we would have made it close, but it doesn’t really matter if we made the time here or not,” he said. “Hopefully we can be fast at the first races. After finishing third in last year’s drivers’ championship, Raikkonen said the key to a successful assault on the 2013 title would be adding race-winning pace to the consistency he showed in 2012. Looking forward to a year without embarrasing mistakes and a final round decider with Kimi involved. 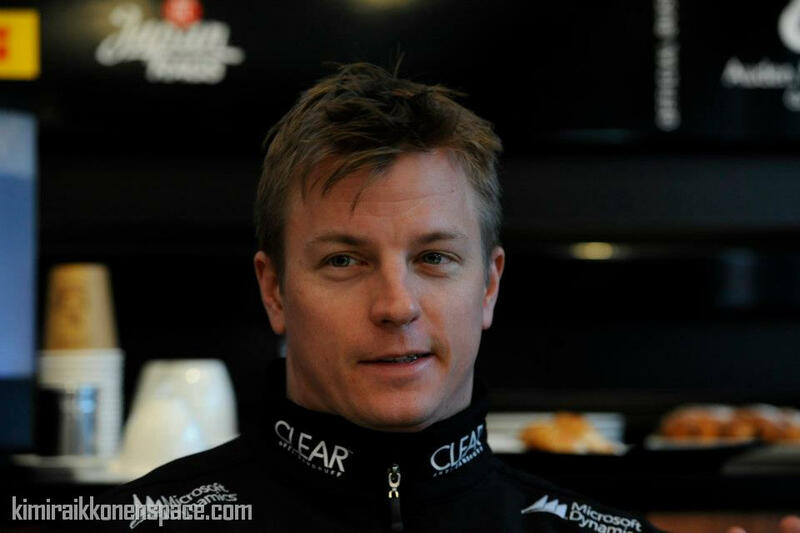 As Kimi said: “If we can keep the consistency and add a bit more speed and a better result at the beginning of the year it will hopefully give us a better chance.”……it´s only hope of fan´s as well:) Good luck from my whole heart!!! After week we should know a bit more already……..